Then they released a new version with a ridiculously clever bracket. This review will be mostly about the bracket since the tool itself hasn’t changed. The bracket is molded from a semi rigid rubber-like material. It is about 4.25 long, 1.5″ wide (with tools installed), and about 1″ thick. It can hold both halves of the Fix It Sticks Replaceable Edition, one on each side, along with a whopping 18 bits. The bracket has exterior slots for 12 bits, 4 bits are stored in the tool halves, and 2 more bits can be stored in either end of the bracket. The entire package is far more compact than you would think a driver set this full featured can be. The bits are also amazingly well organized, visible, secure and accessible considering how compact it is. 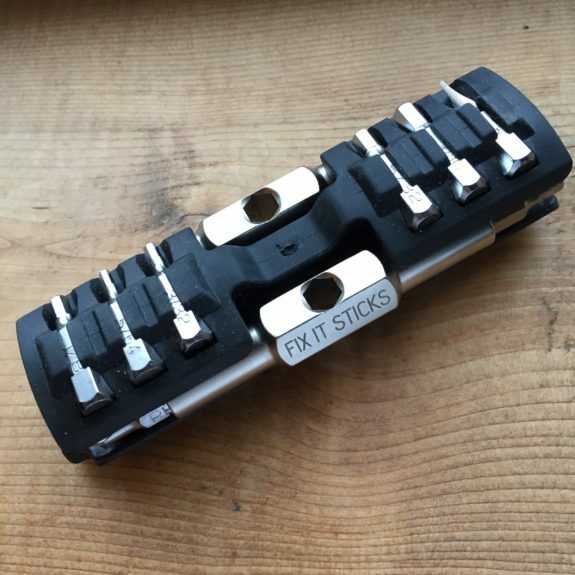 Each of the 12 bit slots on the broad sides of the bracket tightly grips the bit while still allowing you to read the size marking etched on the bits. The bits only slide out in one direction which further increases their security. 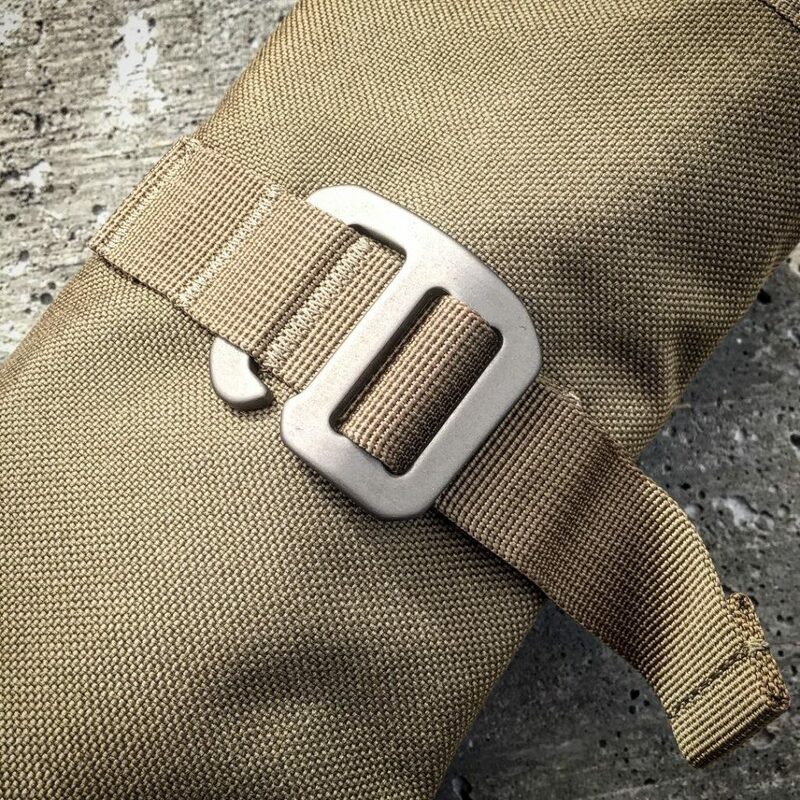 This bracket adds so much to the functionality of the Fix It Sticks Replaceable Edition as an EDC or range bag addition. It carries so many bits in such a small package and can be so easily customized to suit your needs by swapping or adding bits. It is extremely compact yet still long enough to access an AR-15 grip screw or Glock magazine release spring. You can even leave the bracket behind if you need it to be ultra-compact and still be able to carry 4 bits! These would make incredible stocking stuffers. 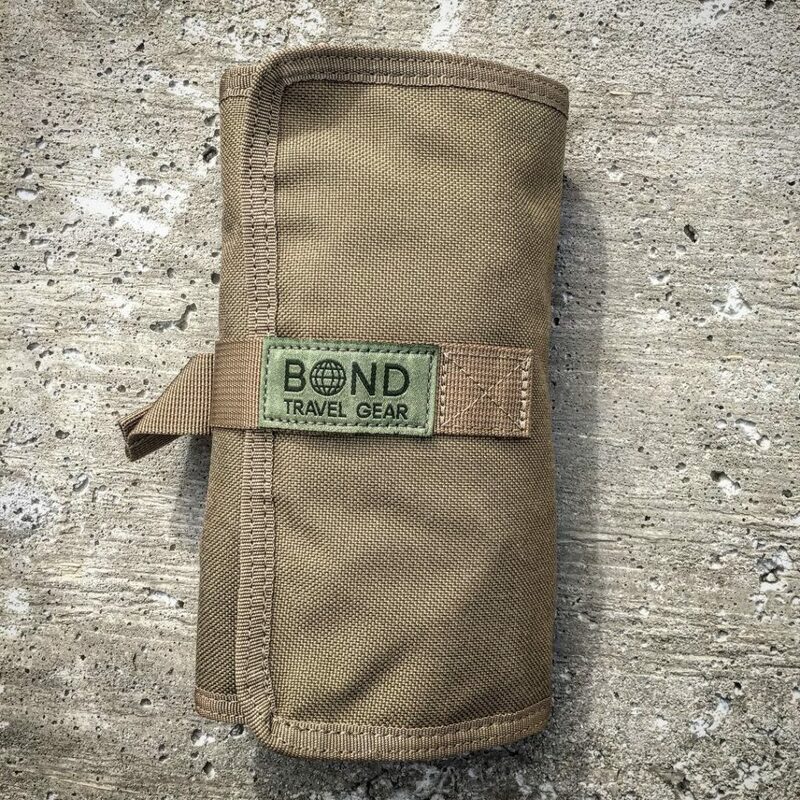 We have spent a lot of words looking at various drivers in The EDC Tool Roll series. The truth is that even the slickest, most EDC-worthy driver won’t help you if you can’t reach the fastener you need to tighten or loosen. 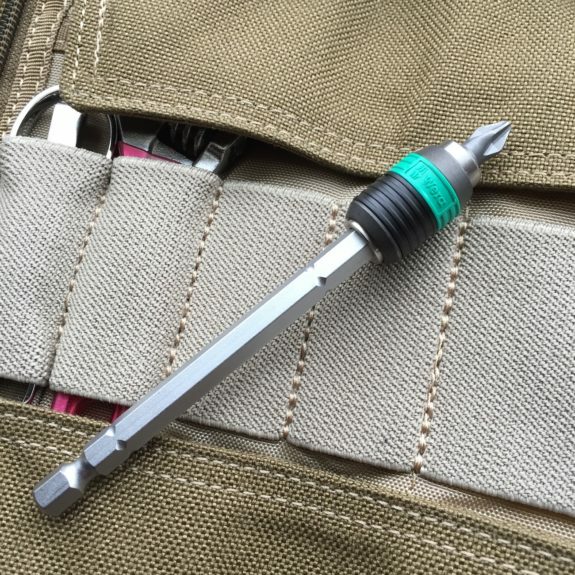 Many of the drivers that we have reviewed so far lack the reach of a conventional screwdriver. This is why I always have an extension of some kind in my tool kit for EDC or range use. The best extension I have used are the Wera Rapidators. 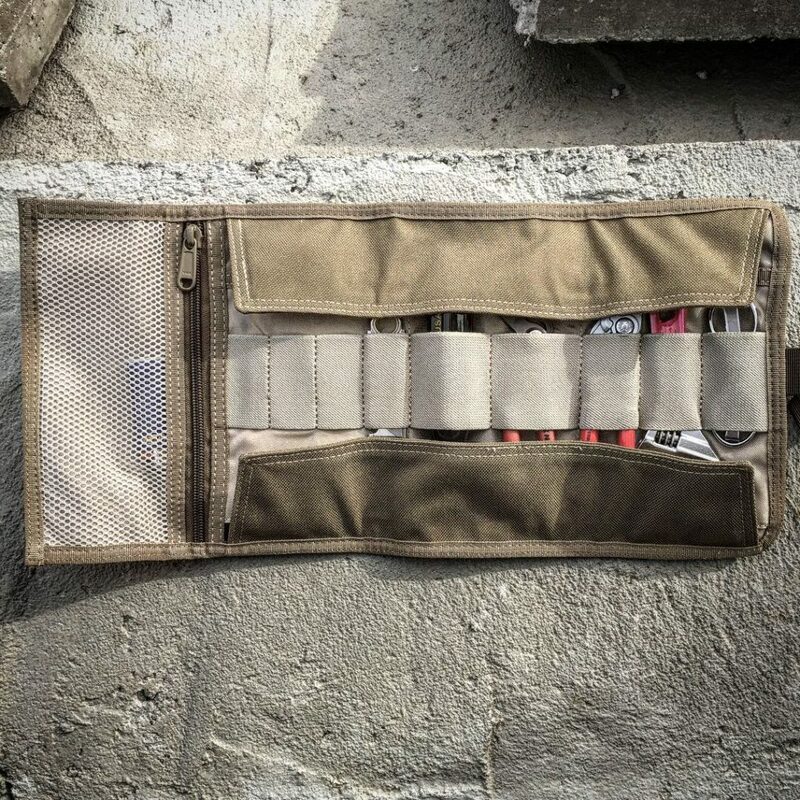 I use the 100mm (about 4″) in my own version of The EDC Tool Roll. I used to use a basic magnetic extension most of the time and those still work. However, the quality is often lacking (loose fit, lousy or broken magnets, etc.) and the Rapidaptor line has features that I have grown to like. First, the quality is excellent. The metal parts of the Rapidaptor line are finished with a matte finish that looks like hard chrome or maybe just a bright stainless. Whatever it is, it seems to hold up very well. 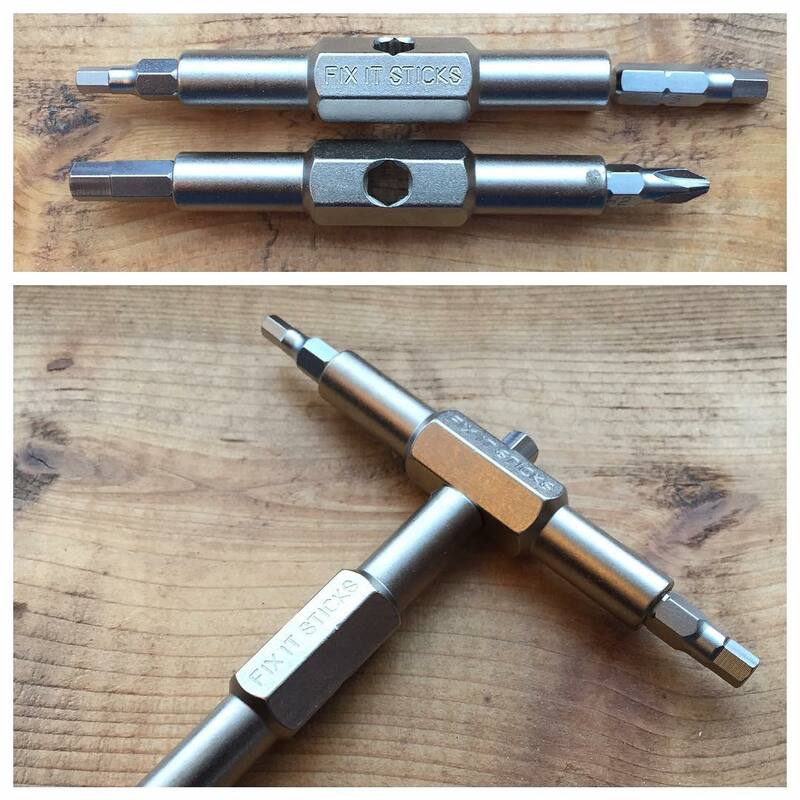 The fit is tight and precise both with the bits and with whatever you are using to turn the Rapidaptor. As someone who has had a cheap extension with poor fit locked into an impact driver to the point of needing tools to remove it, I appreciate that precise fit. It also holds up to use in a cordless impact driver. Second, the design of the bit holding portion of the Rapidaptor is excellent. It actively locks bits into place automatically upon inserting a bit. It is held in place via a good quality magnet and the locking collar. 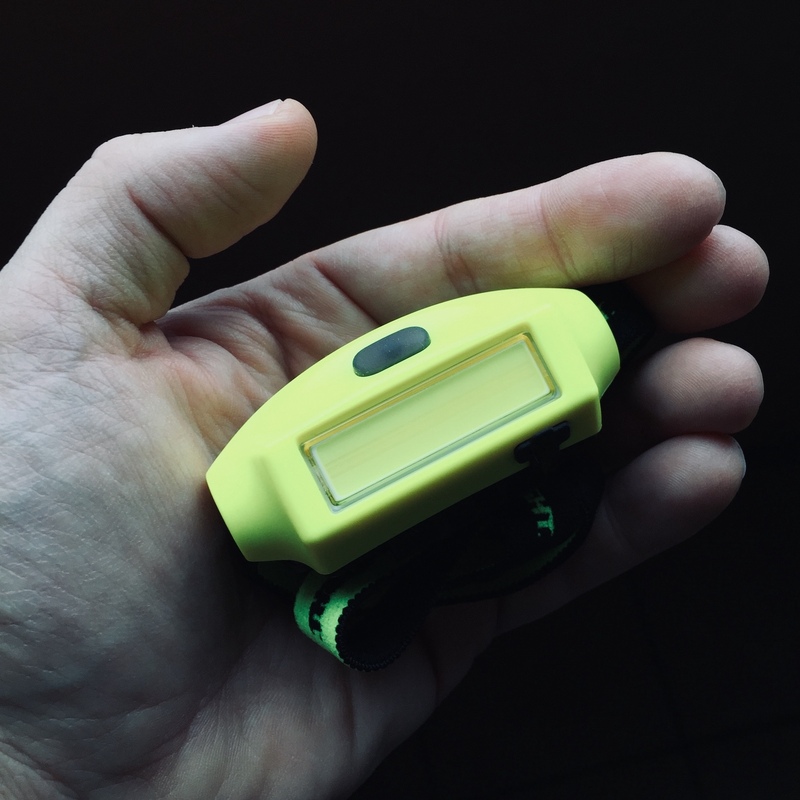 This collar (the green and black part in the picture) spins freely allowing the user to grip when attempting to control a fastener. Pulling up on the collar releases the bit without popping it out to be lost. Installing and removing bits can all be done easily with one hand. 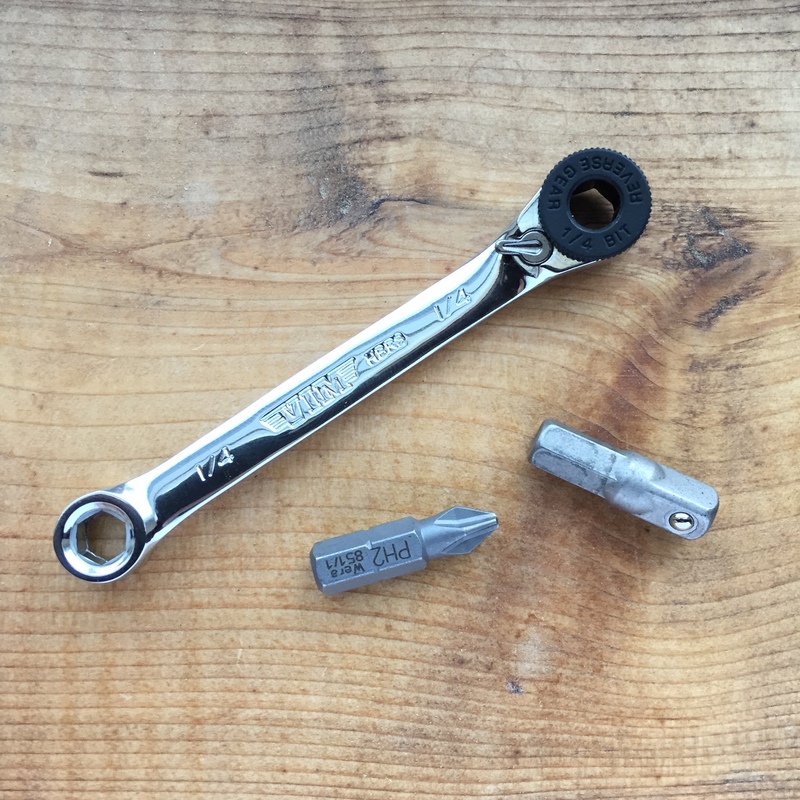 Wera makes shorter versions of this bit holder but the I find the 100mm version to be just right. Short enough to carry in my kit but long enough to reach an AR-15 grip screw or to use in installing/uninstalling a Glock magazine catch spring. I also find myself using this with my power tools somewhat frequently. 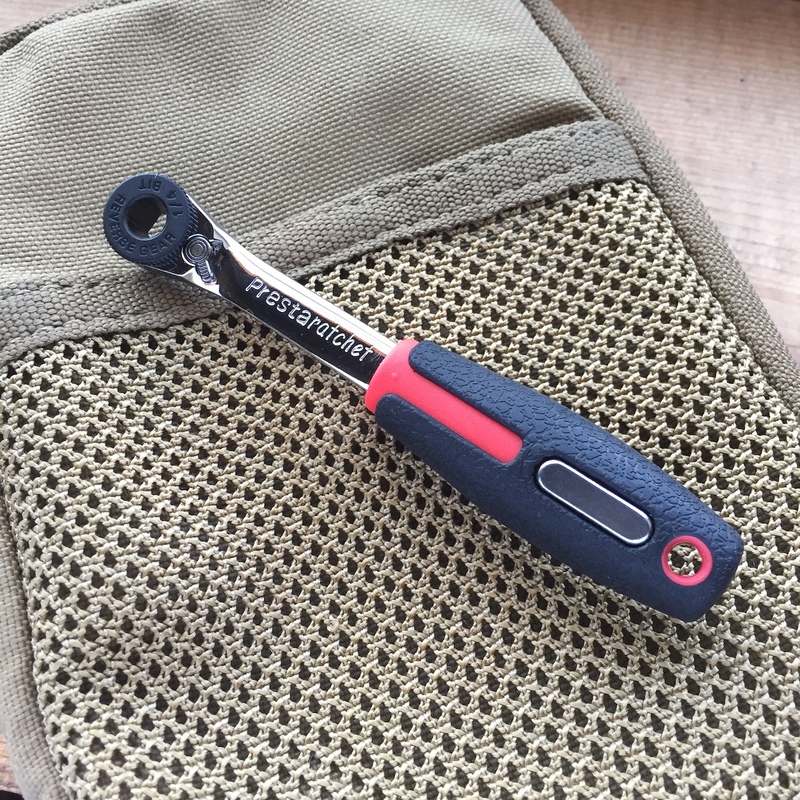 JTT reader Trent R. suggested that I take a look at the Klein Tools Electrician’s Scissors for The EDC Tool Roll and I absolutely agree with him. They are great scissors. In fact, I already owned a pair that I’ve been using for years! We’ve already covered two other pairs of scissors in this series – Victorinox SwissCard Scissors and SLIP-N-SNIP Folding Scissors. Both of those scissors give up some size and functionality in favor of being easy to carry. That isn’t really the case with the Klein Tools Electrician’s Scissors which are still compact and will fit in any EDC Tool Roll but are more tool-like and functional like full size scissors. These scissors are billed as an electrician’s tools but really they are just solid all-around scissors. I find that they fit well in adult sized hands and cut well. They are ground with thicker edges than some scissors so that they can be used to cut wire and other tough materials without damage. Klein Tools also takes care to very slightly blunt the tips of these so that the point is very robust. I have a few older, US and European made scissors that I received from my grandfather and these USA made Klein Tools Electrician’s Scissors remind me of those in build quality. They have forged steel construction with a nickle plated finish. The screw hinge is adjustable but not removable so the scissors can not be taken apart. You have to love that companies like Klein Tools are still forging tools in the USA. 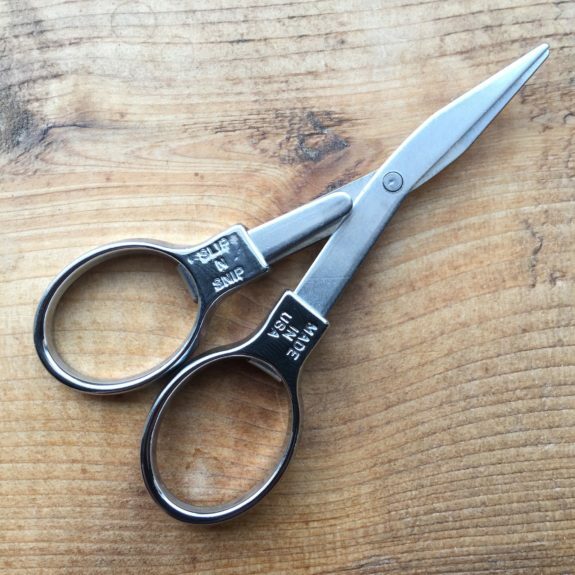 These have been my go-to workshop scissors for years and they often find their way into my range bag as well. I use them for cutting tape into target pasters (or pasters into smaller pasters). They are also great for cutting cardboard boxes to shape for use with my target stands or cutting cardboard to shape for targets like the KBATs from Kit Badger. They are the perfect size for tons of applications like these when you want performance like full size scissors but space is at a premium. These offer something close to full size performance and compact ease of carry. I have the model 2100-5 which lacks the wire stripping notches but has the scraper/file on the backs of the blades. The price varies but sometime the model with notches (2100-7) actually costs a little bit less. You can probably find these at a local home improvement store or electric supply house. They are quite common. 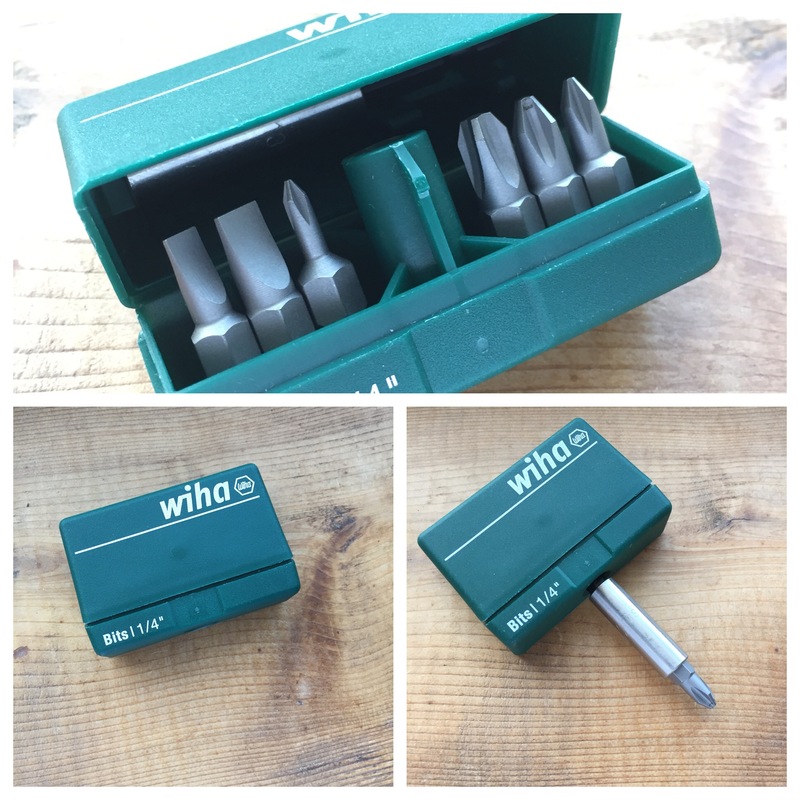 If you are like me, they are already in your tool chest waiting to be added to your EDC Tool Roll! I am not sure that Vice Grips are ever the right tool for the job (unless the job is rounding a fastener)! The flip side of that coin is that they often seem like they are the only tool for the job. The bottom line is that I use them all the time and you use them all the time. It makes sense for them to have a place in The EDC Tool Roll. Several companies make 5″ locking pliers but these are larger than I like for a pocket tool kit. A few companies make 4″ locking pliers and one of them is Irwin in their Vice Grip line. I’ve used Vice Grip locking pliers as long as I have been using locking pliers. I trust the brand, even though they are made overseas now, so that is what I bought for my kit. The Irwin Vice Grip 4WR Locking Plier is basically just a scaled down version of their standard curve jaw locking pliers with wire cutter. They are 4″ long from the tip of the jaws to the back of the knurled thumb screw when the thumb screw is turned all the way in. 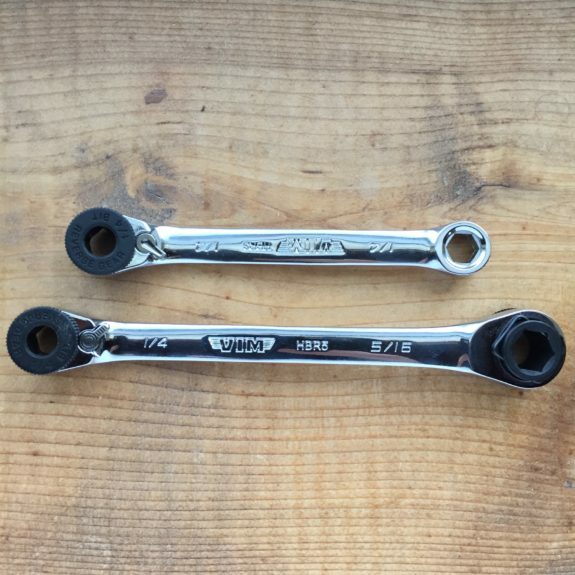 Most of the time the nut isn’t turned all the way in so they are slightly longer than 4″. Their jaws can open to just under 1″ wide. So how do you use them? Well, a lot of different ways. I bet most people have a story about using locking pliers to get out of a jam. It could be locking onto a frozen fastener or holding parts together long enough to limp a car home. I’ve even used this pair as an improvised target hanger when I was on the range and out of staples. Like I said before, they are almost never the right tool for the job but they are often the only tool for the job. 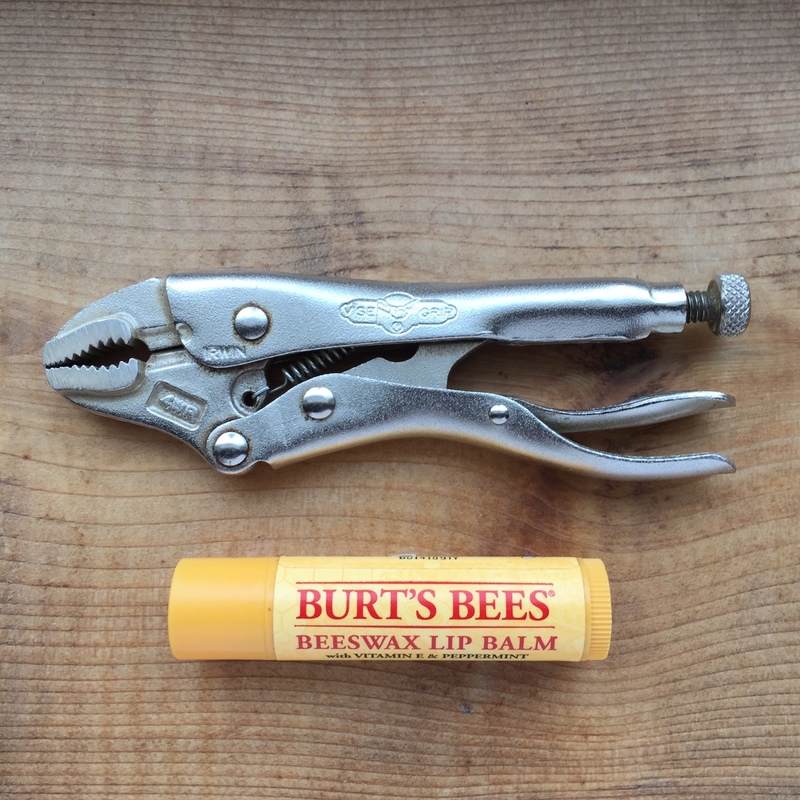 I have owned some terrible locking pliers over the years so I am hesitant to stray too far from the Vice Grip line. They make a number of pliers in this size. 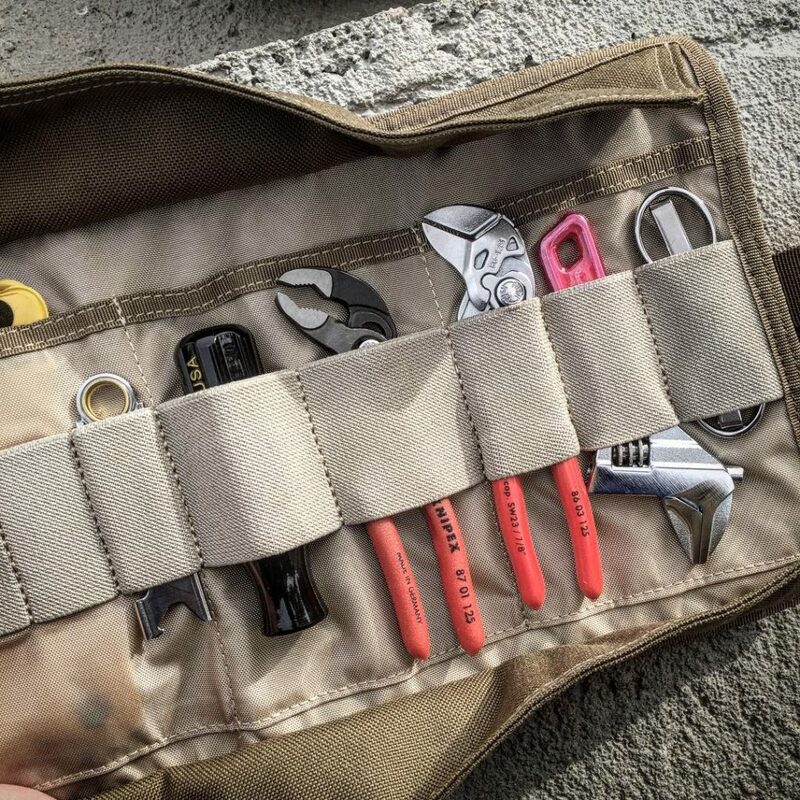 Do you have locking pliers brand that you prefer or another tool recommendation that fits The EDC Tool Roll? Tell us about it in the comments below or drop us a line on the Contact page. 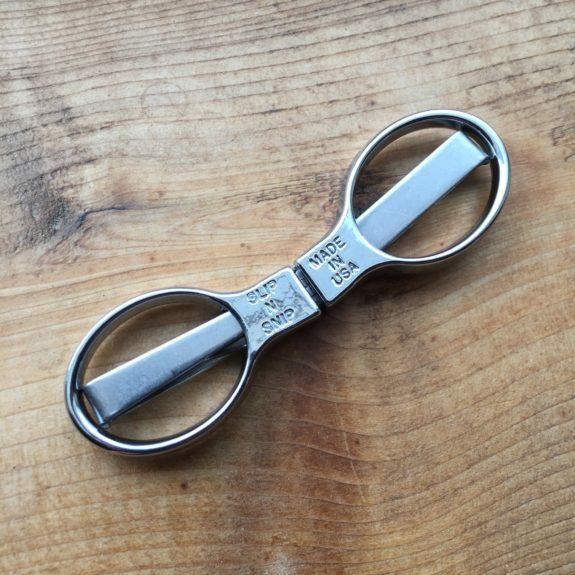 You probably read the title and rolled your eyes because folding scissors are always junk. I would submit that only MOST folding scissors are junk. The original SLIP-N-SNIP folding scissors are far from junk and are worthy of a spot The EDC Tool Roll. 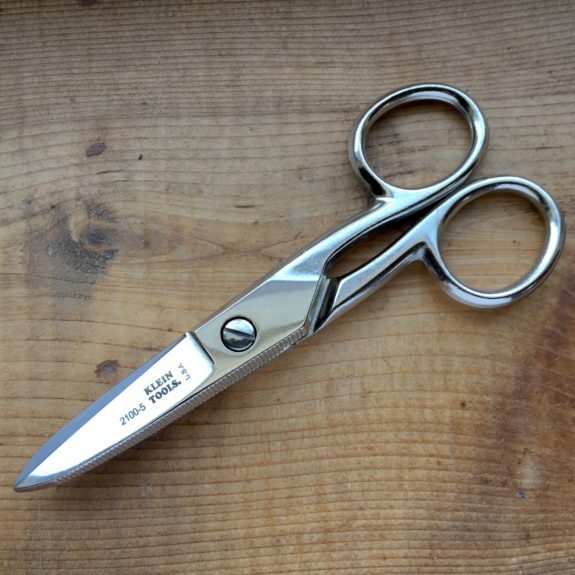 Most people’s experience with folding scissors is with cheaply made imports with plastic handles that break, thin stamped blades that flex and don’t mate correctly, weak pivots, and cutting performance that might eventually mash through whatever you are trying to cut. None of those things are true of SLIP-N-SNIP Folding Scissors which are still made in the USA and I have been using for years. SLIP-N-SNIP Folding Scissors have cast zinc handles – not plastic. The handles are small enough to be very compact, large enough for my fingers with room to spare, and very nicely rounded for comfort. The metal handles make them heavier than plastic handled folding scissors but the step up in quality is well worth it. The blades are stamped steel which is thicker than the steep found on cheap folding scissors. They are very nicely ground and mate perfectly on the pair I have owned. They are very sharp and cut cleanly without mashing – even on items like para-cord inner strands or fine threads. The SLIP-N-SNIP Folding Scissors are only about 3″ long when folded and weigh less than an ounce. They unfold into scissors that are almost 4″ long with a cutting surface of about 1.25″. This makes them a great size for with first aid kits, EDC, or on the trail. Scissors are just better than a knife for some cutting tasks and I am often glad I have these with me. I’ve used mine to cut masking tape when pasting targets, gauze and tape for dressing wounds, moleskin for covering blisters, and the list goes on. SLIP-N-SNIP Folding Scissors usually cost less than $8. They cost more than cheap folding scissors but I still find them to be very reasonable consider the quality and the fact that they are made in the USA. They even offer a version with a non-reflective, rust resistant black coating (which I wish I knew about when I bought my SLIP-N-SNIP scissors)! You can find SLIP-N-SNIP Folding Scissors at some sewing shops where they are well known for their quality. However, sewing shops often carry a finer tipped version (SLS3) that may or may not be desirable for EDC. I have only used the SLS1 version which is a more general purpose scissor. If your local sewing shop doesn’t have them, several online retailers do.